Bask for a week in sunny Provence then live among the warm friendly people and natural beauty of Alsace! 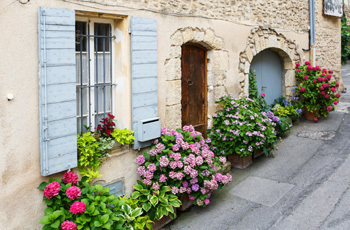 One week each in personally selected apartments in Provence and Alsace. Airport transfer assistance upon arrival, or detailed instructions for your rental car pick-up and drive to your Untours home base. Transfer between destinations: You will follow our detailed directions to drive between your apartments. Local info, a driving map, and Untouring Provence and Untouring Alsace guidebooks, both researched and written by Untours staff, full of insider tips and sightseeing suggestions. Cultural events in each location, like dinners in quaint restaurants in Provence and Alsace.